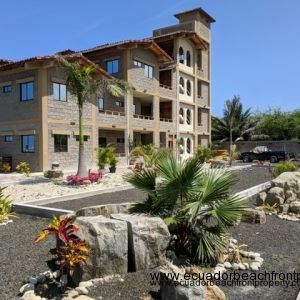 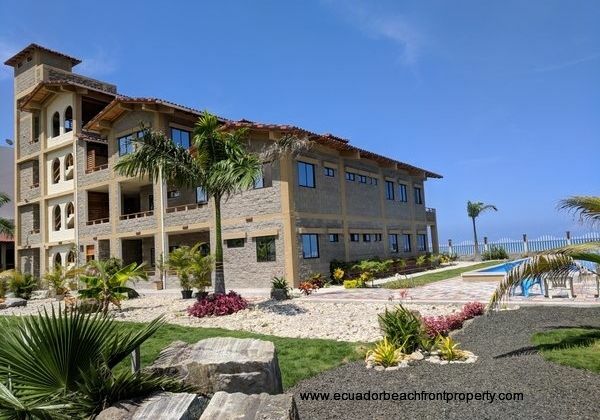 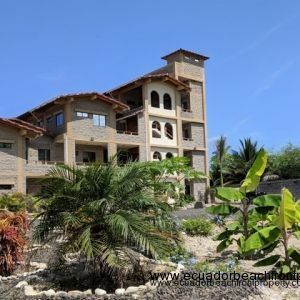 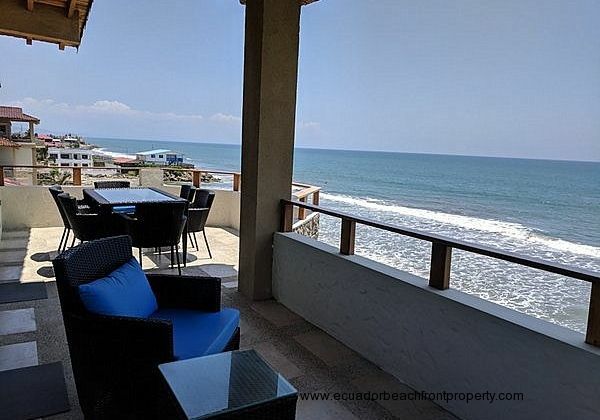 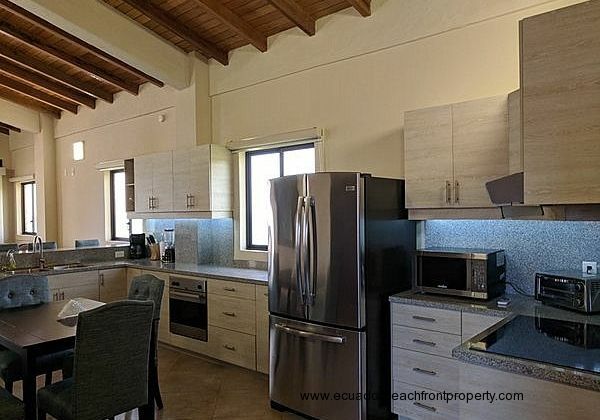 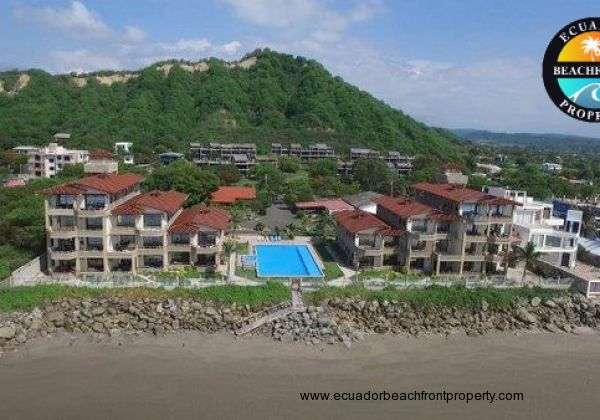 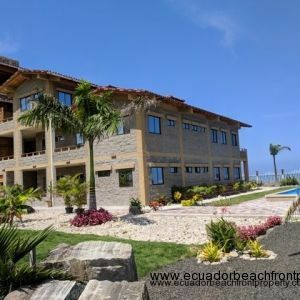 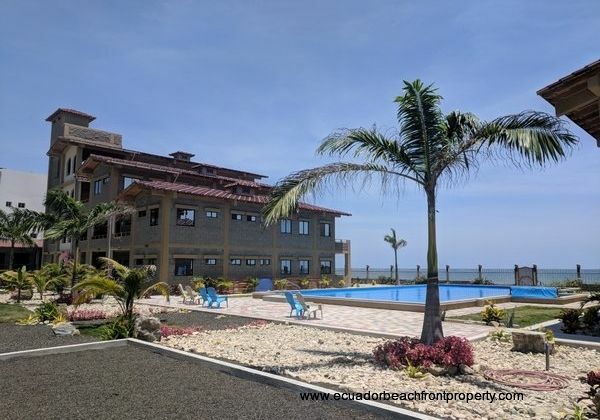 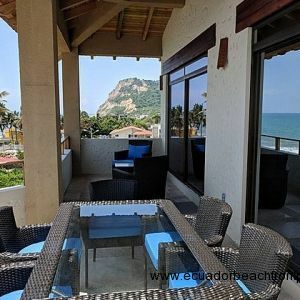 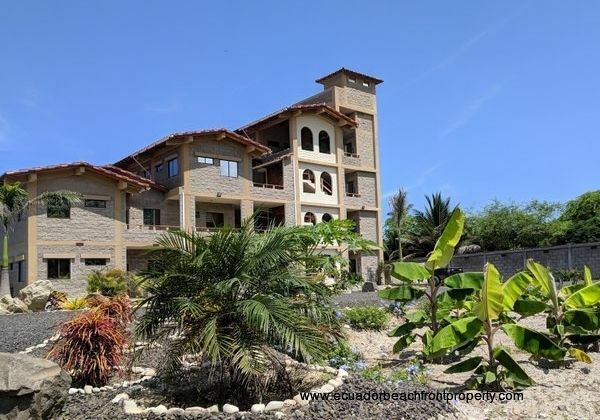 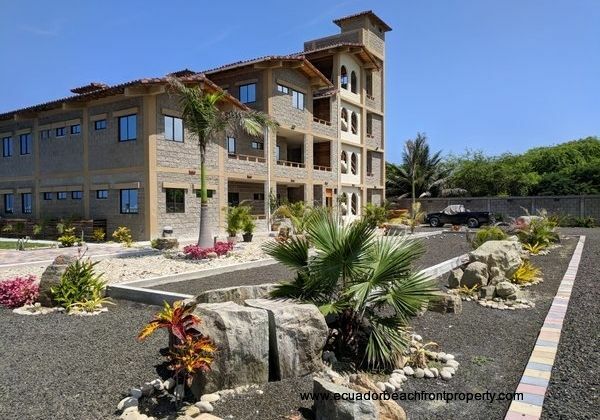 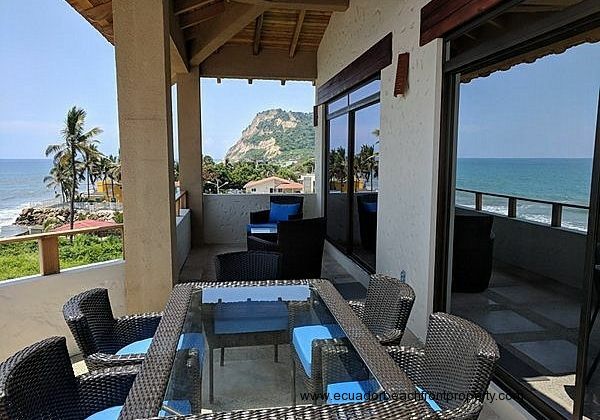 Multi-week and Monthly Discounts Available - Jaw dropping ocean and hillside views are nonstop in this beautiful 3 bed/2 bath beachfront penthouse condo. 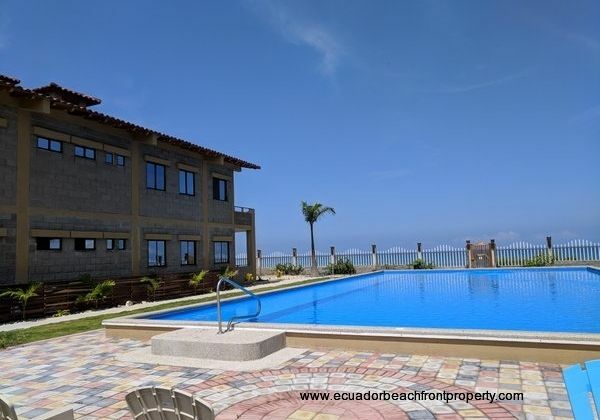 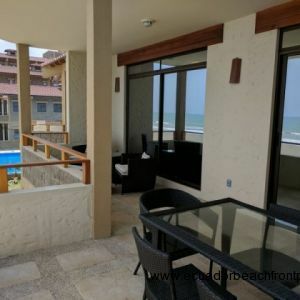 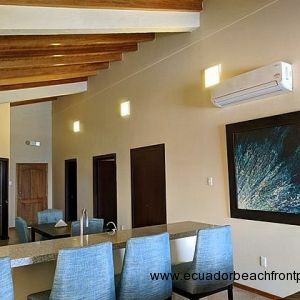 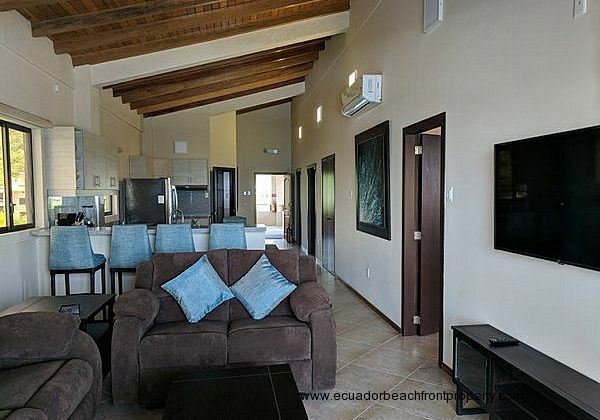 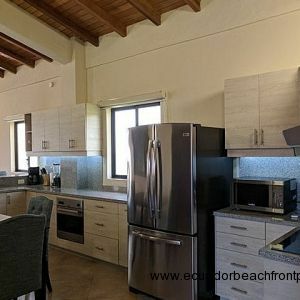 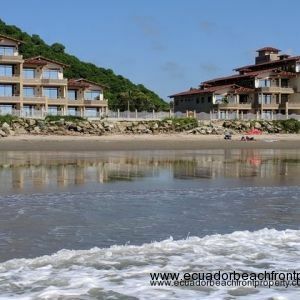 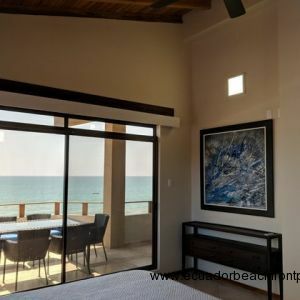 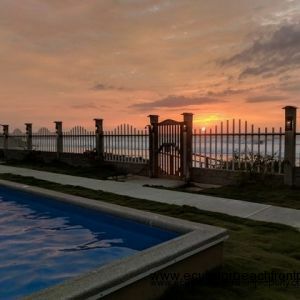 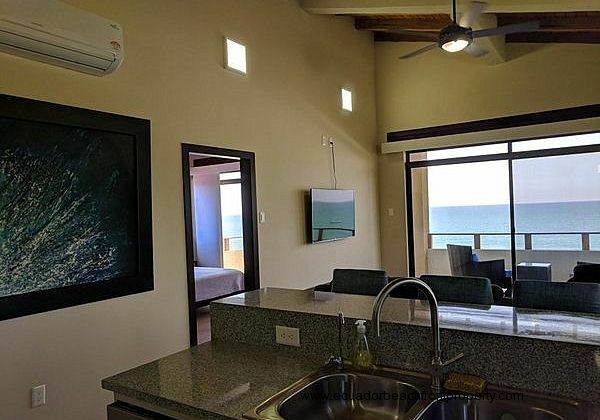 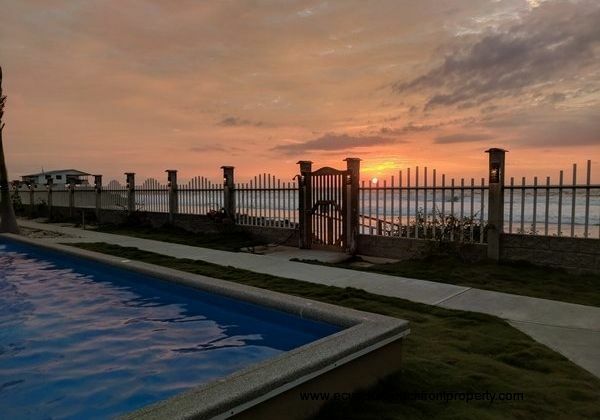 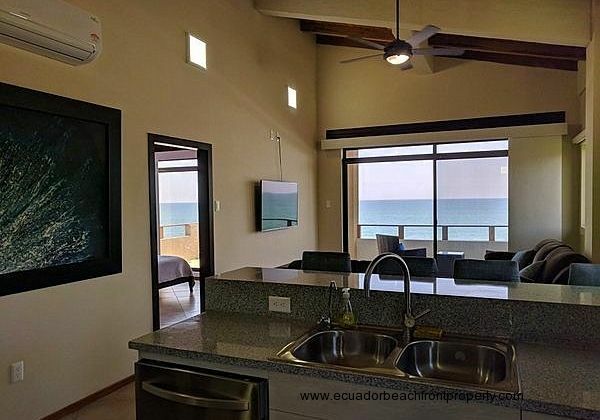 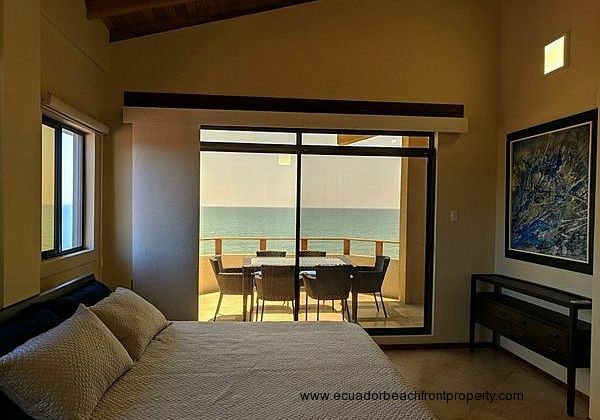 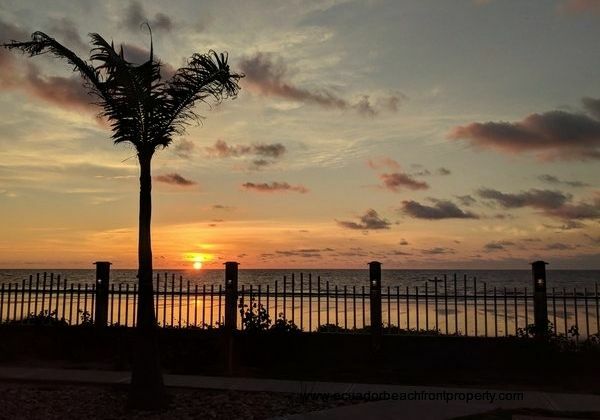 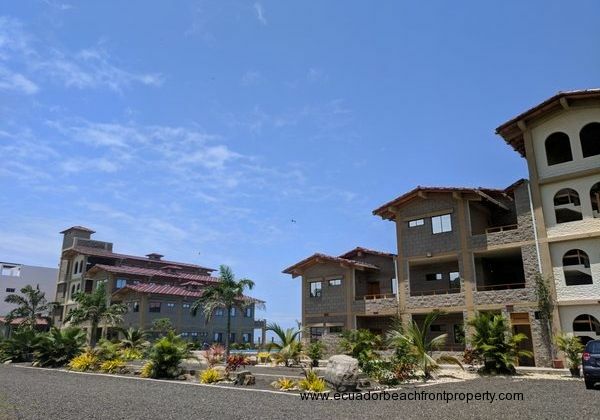 This stunning 3 bedroom beachfront penthouse condo is available for weekly and monthly rentals. 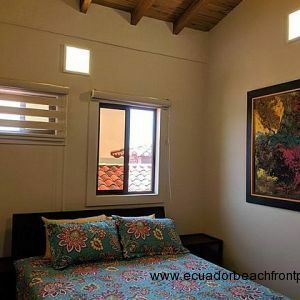 Weekly price (6 nights) is $950 (discount available for 1+ weeks). 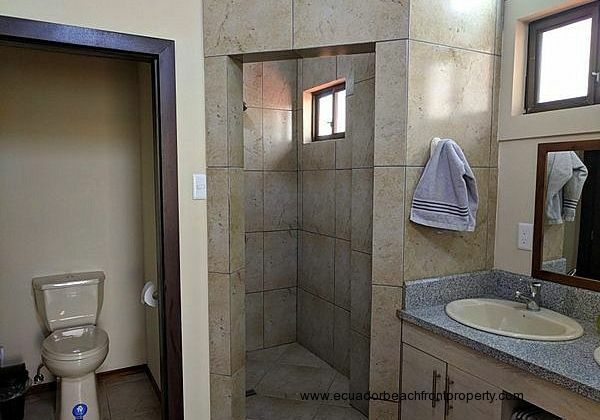 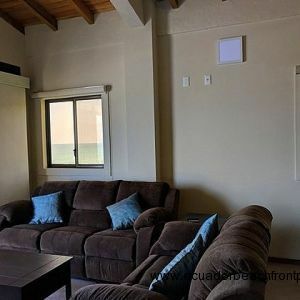 Price includes water, electricity, and wifi internet. 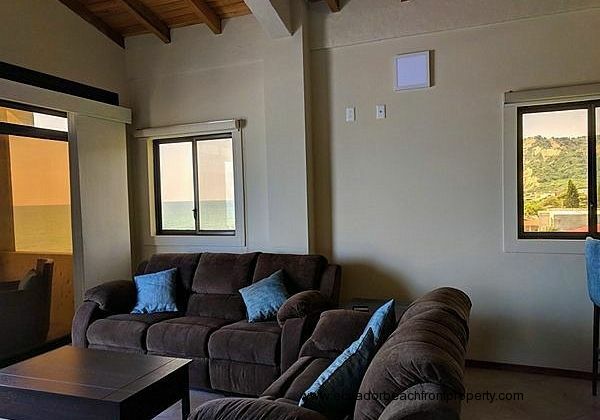 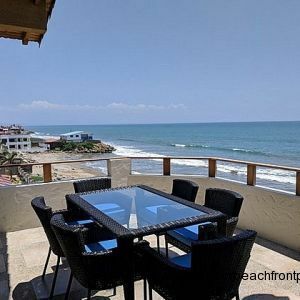 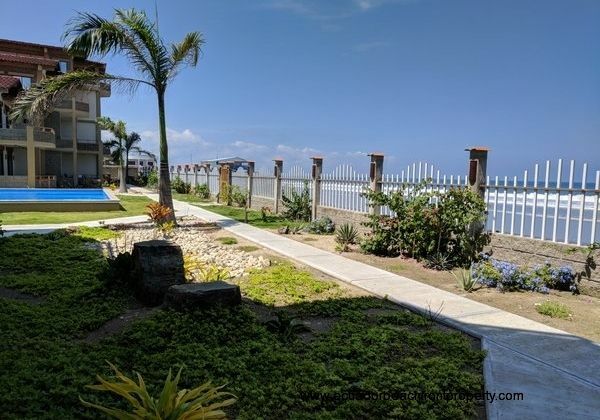 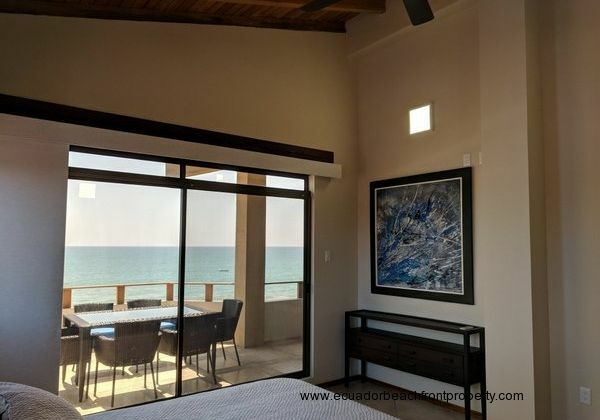 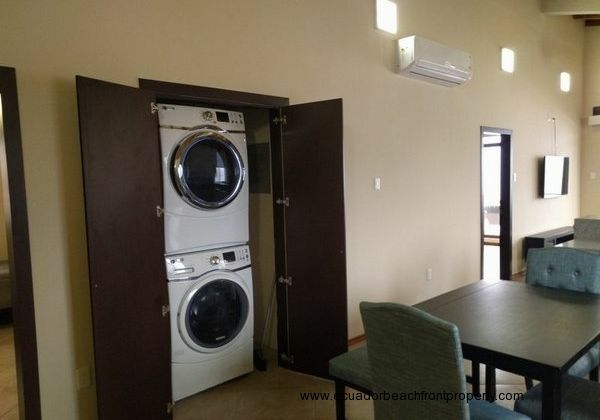 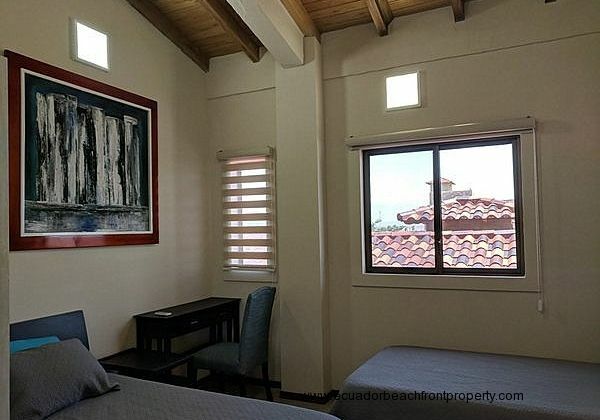 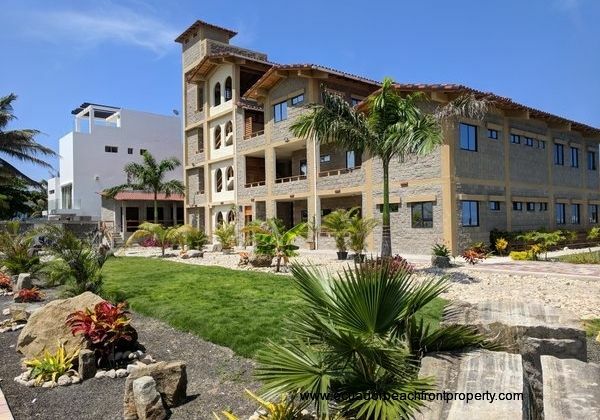 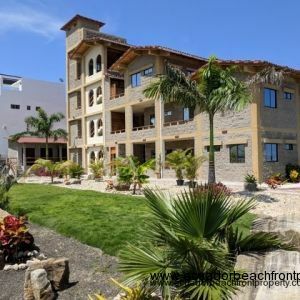 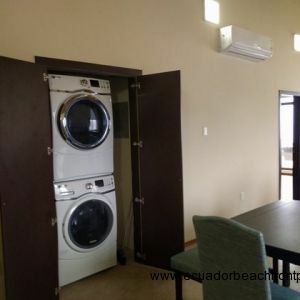 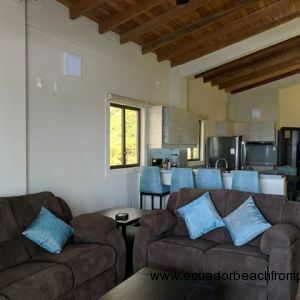 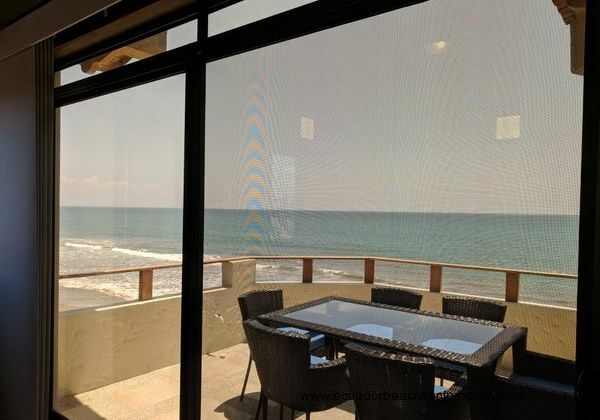 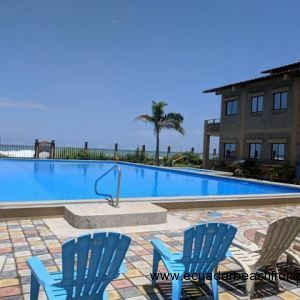 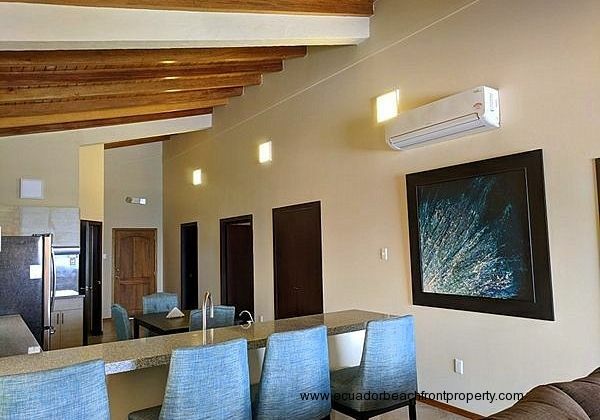 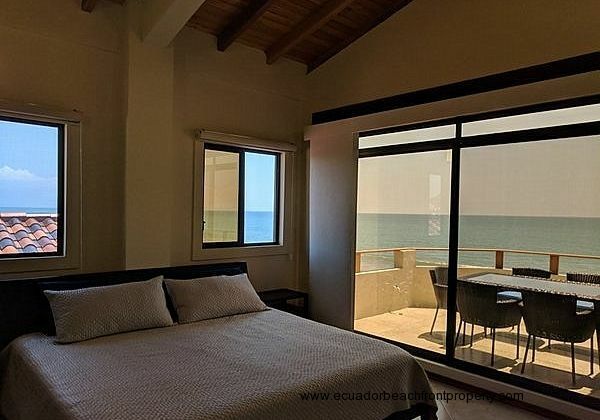 This rental unit is located in Ensenada del Pacifico, our recently completed 18 unit condo development in the small, laid-back fishing town of San Clemente. 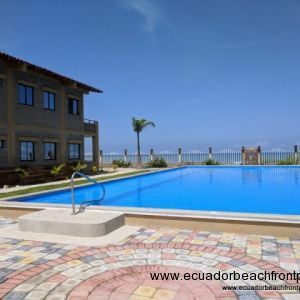 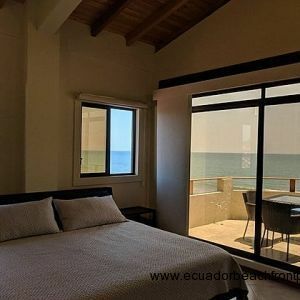 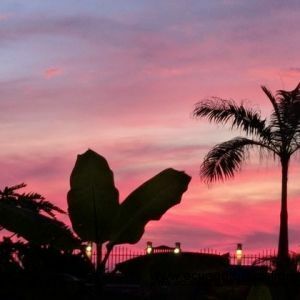 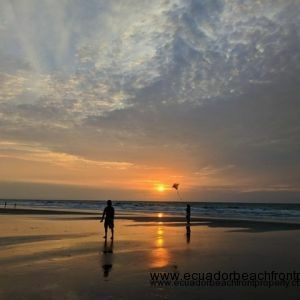 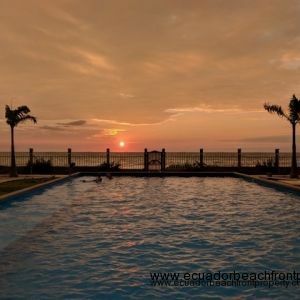 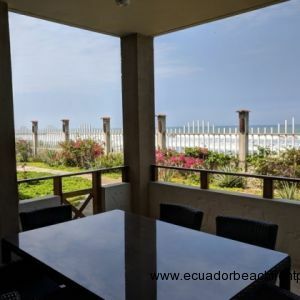 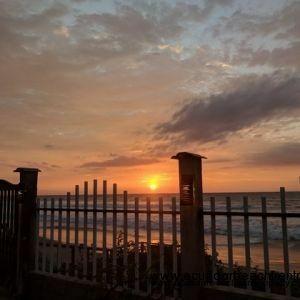 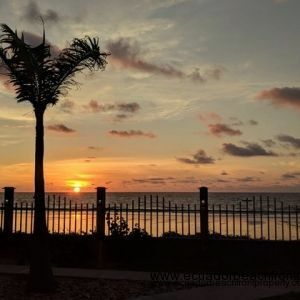 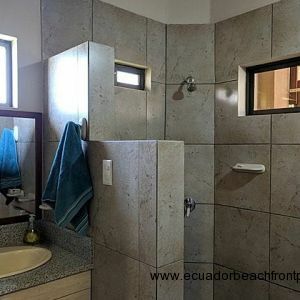 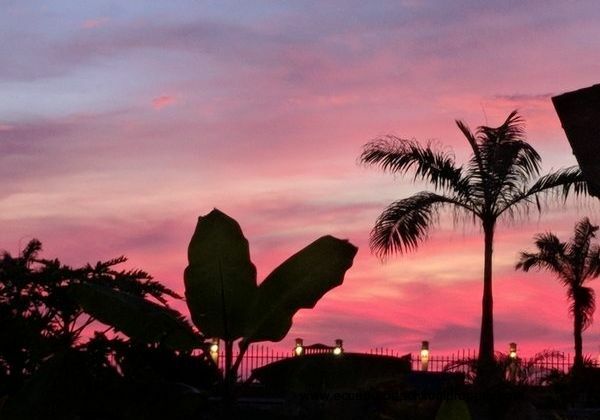 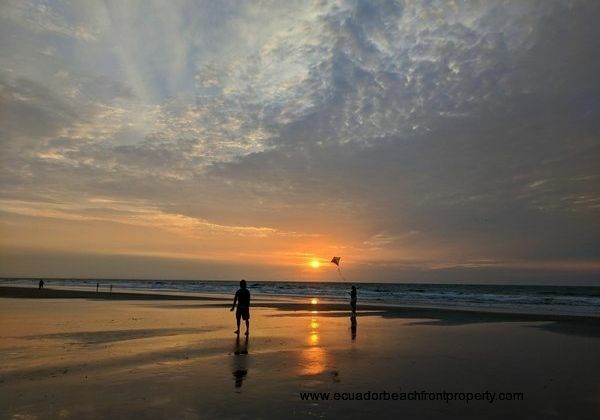 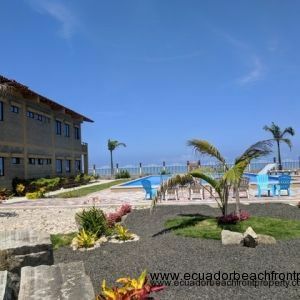 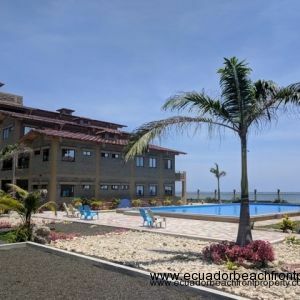 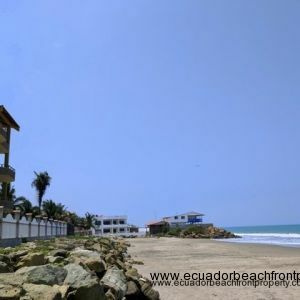 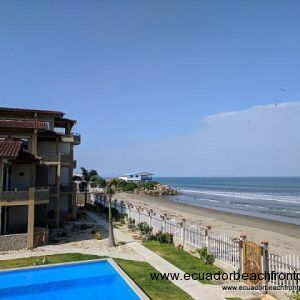 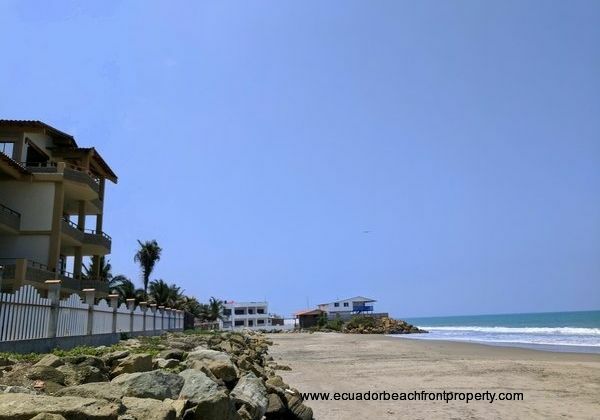 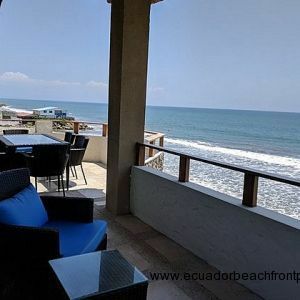 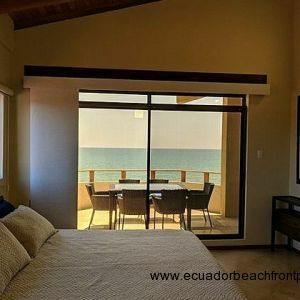 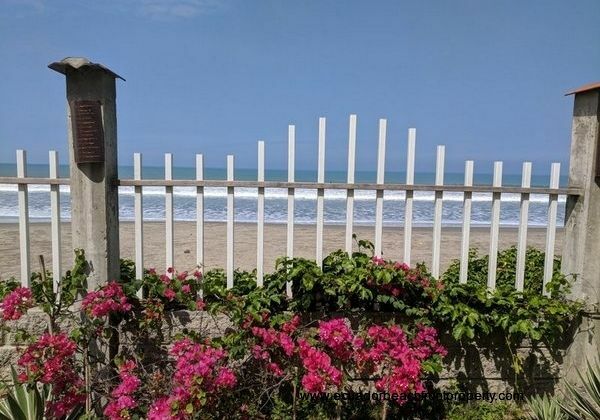 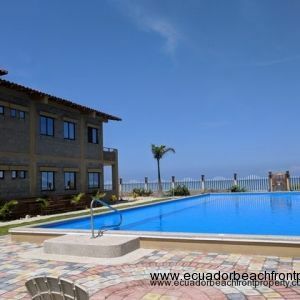 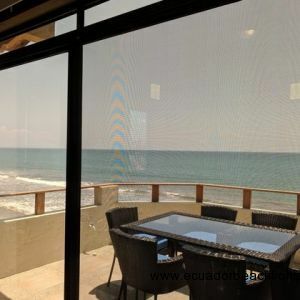 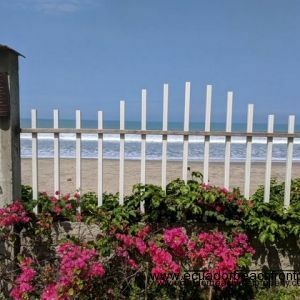 San Clemente was currently listed as one of the top 10 places to live in Ecuador by an online community called Expat Exchange. 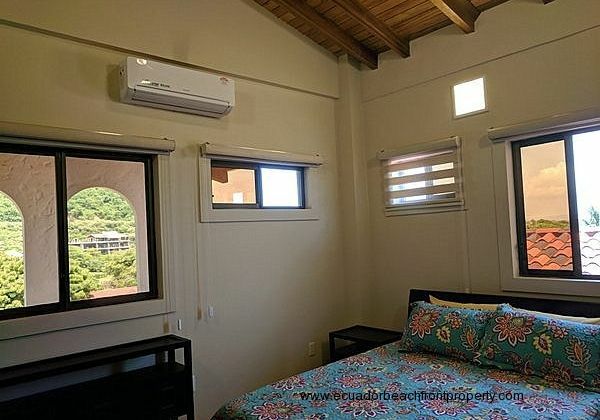 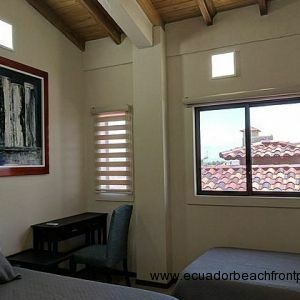 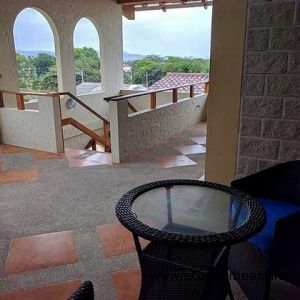 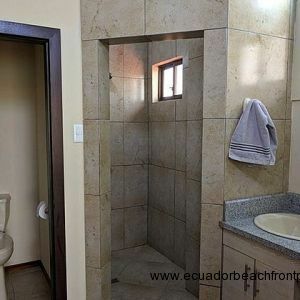 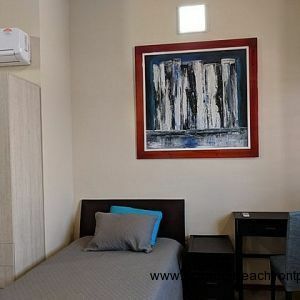 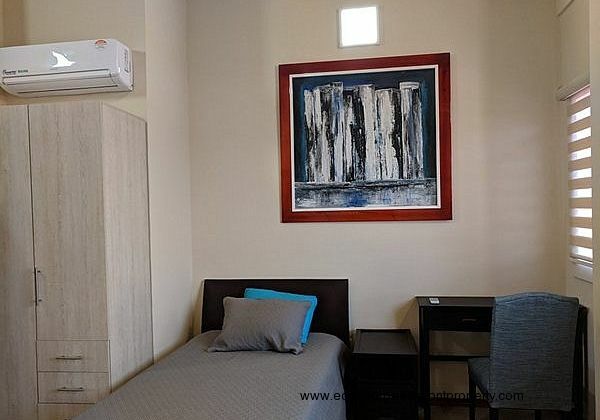 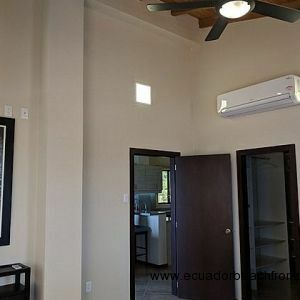 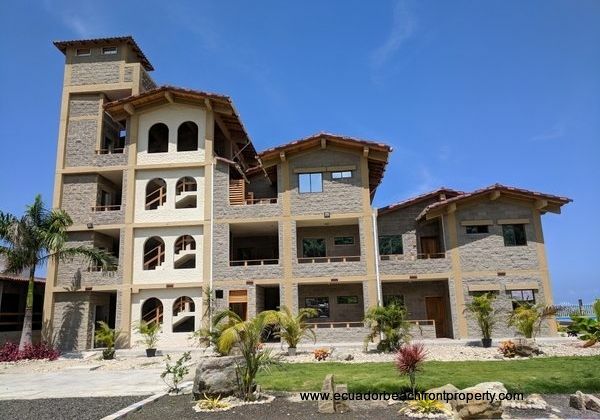 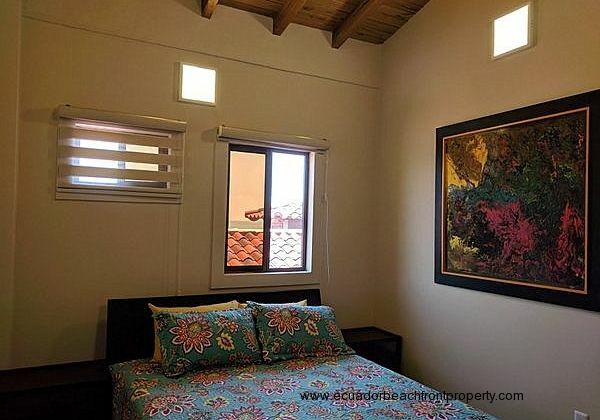 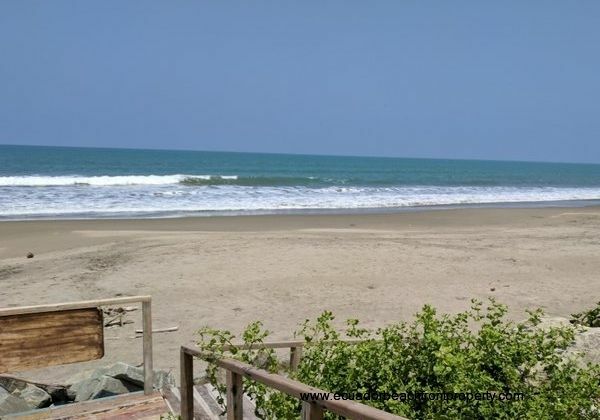 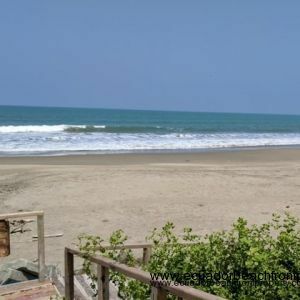 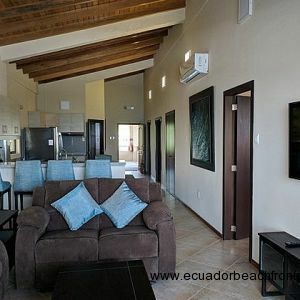 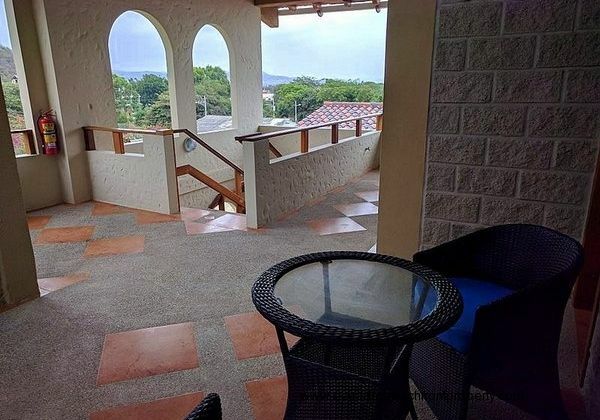 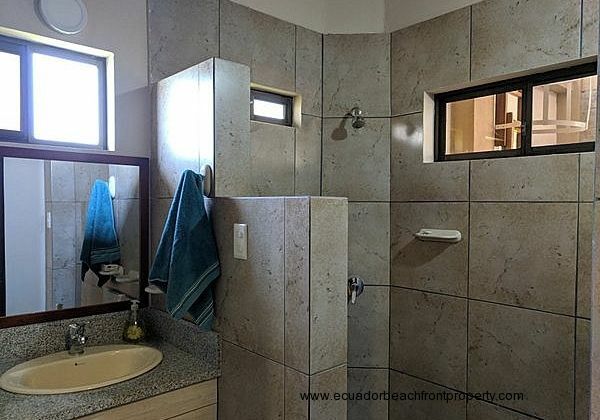 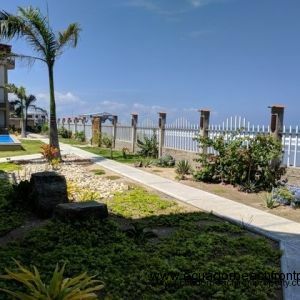 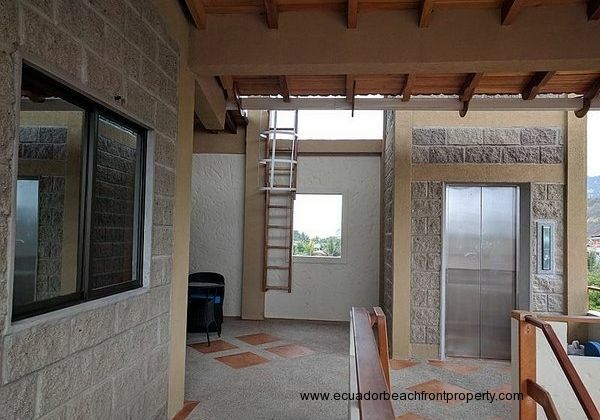 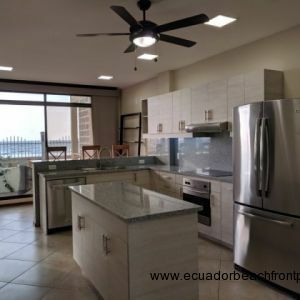 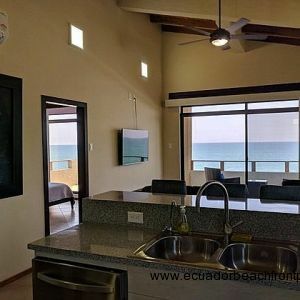 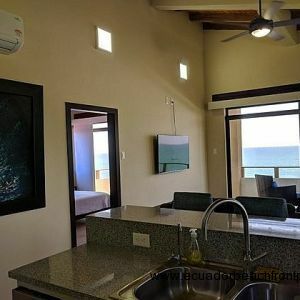 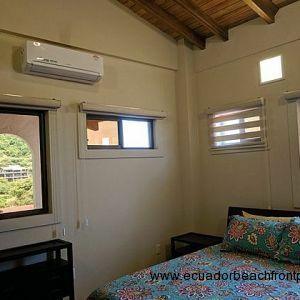 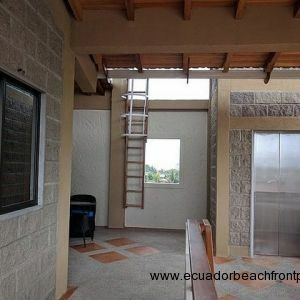 Because San Clemente is located between three cities Manta (45 min), Portoviejo (40 min), and Bahia (30 min), it provides a good option for someone who doesn't want to live right in the city but still wants relatively easy access to cities for their shopping, medical, and transportation needs. 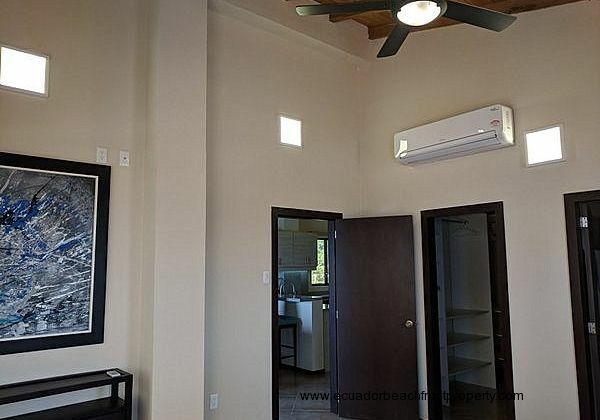 The Ensenada del Pacifico condos are within walking distance to several great restaurants and small shops for basic supplies and groceries. 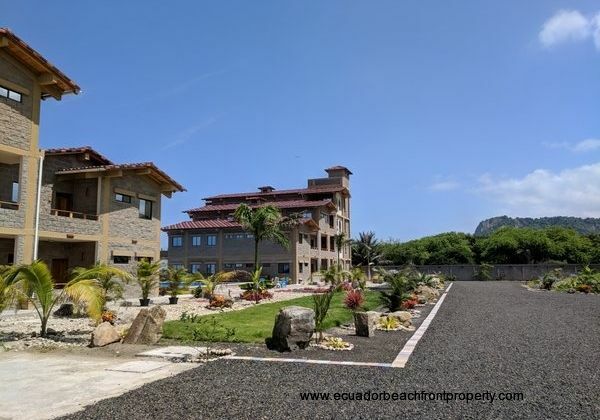 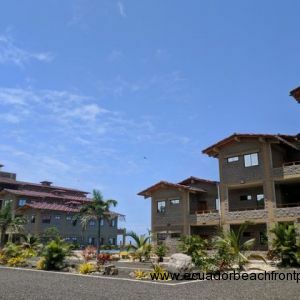 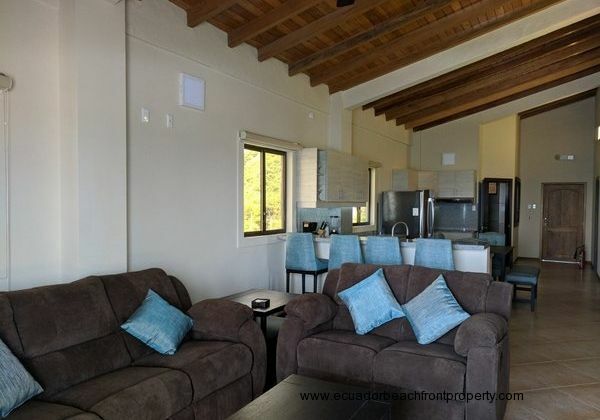 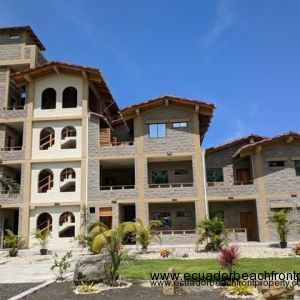 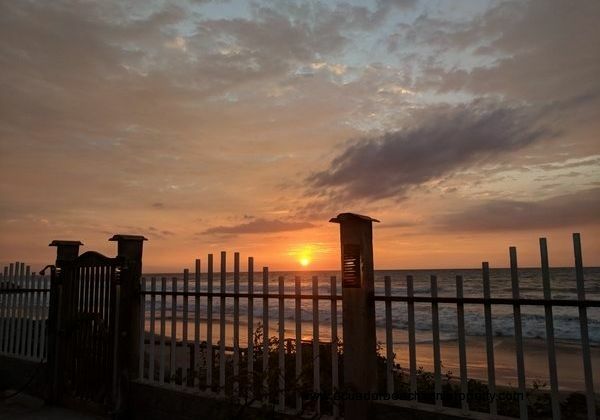 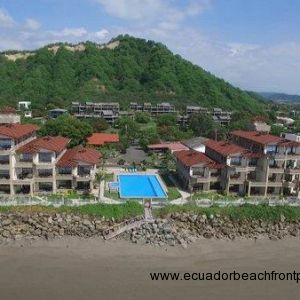 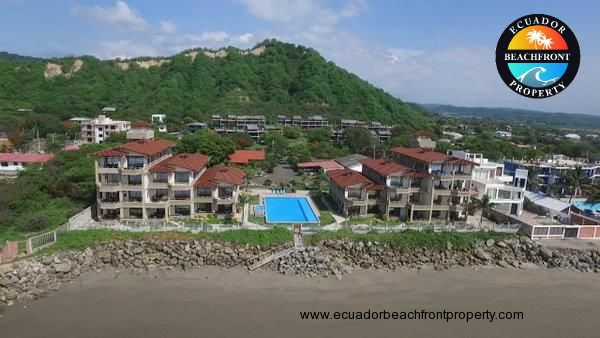 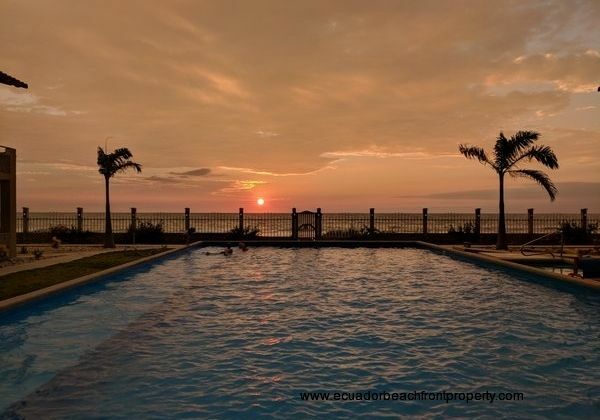 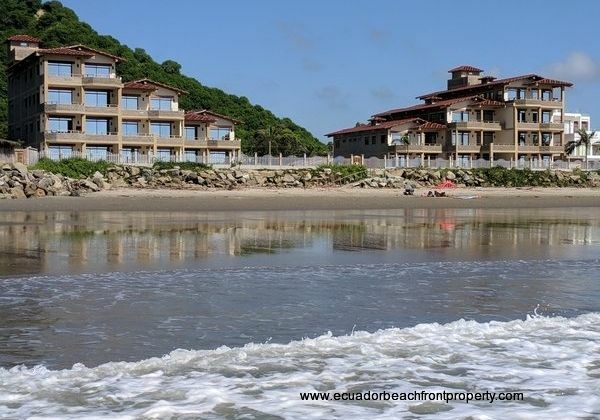 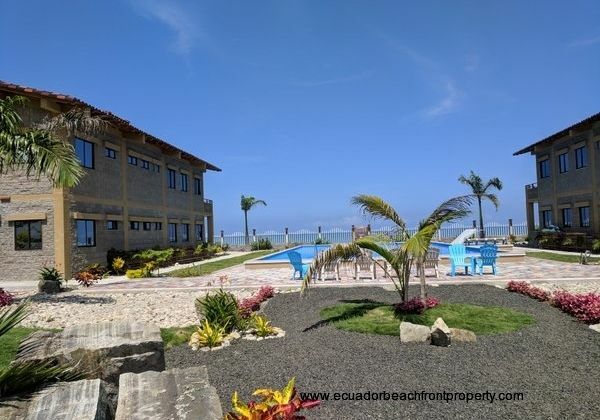 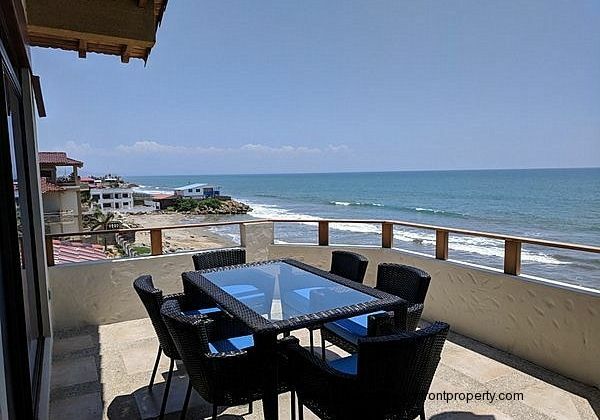 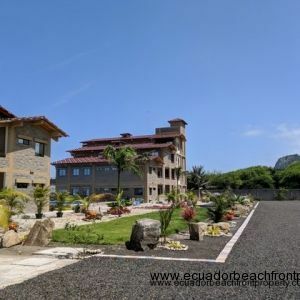 The condo development of Ensenada del Pacifico boasts spacious grounds right on the beach. 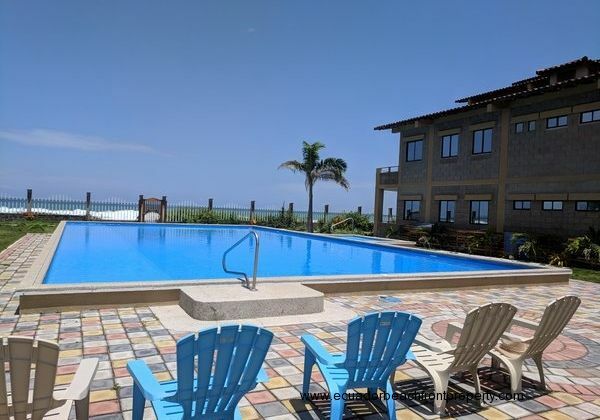 Enjoy the tropical landscaping teeming with birds and butterflies, a 60-ft beachfront swimming pool and heated jacuzzi, ramp down to the sand, even a bocce ball court. 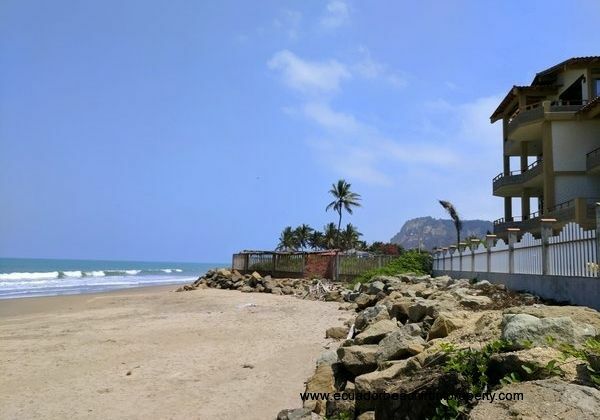 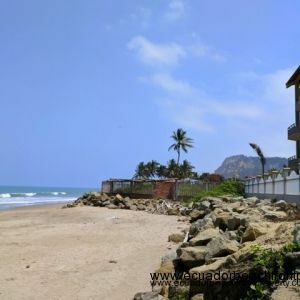 Unlike many beachfront rentals available, there is no road dividing the property from the sand.